Most Bloggers are worried about webpage Tracking And Incoming Key-Words Information for their website ,blogger or WordPress. 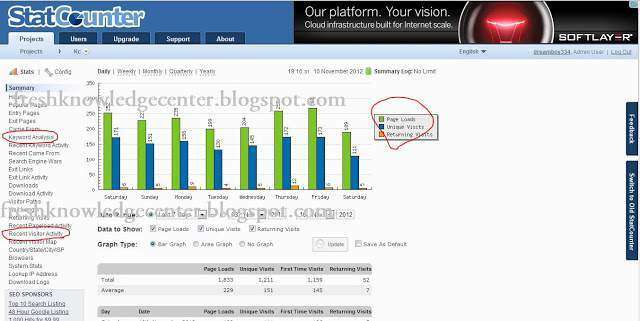 Although blogger and word-press has inbuilt dash board that provides some information about common user queries and overall traffic. However information provided is not enough to understand or interpret website's actual performance on web. Its more useful if trace the individual visitors query and location data to understand users need and interest. So Is there Any WEBSITE for it? FKC Use State counter for Visible for invisible tracking. 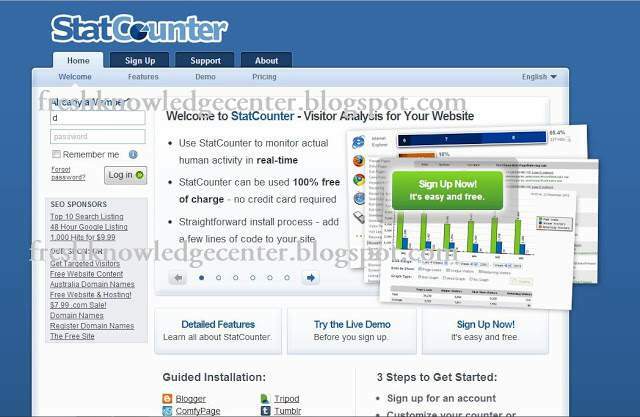 Statcounter is best free tracking and analytics platform provider. Adobe, Pagemill 3.0, Avon, BBEdit, Blogger, Blogger DynamicViews, Blu DomainBritnett , ComfyPage, Contribute, DoYourOwnSite, Dreamweaver, Drupal, Friendster, Frontpage 2000, Frontpage 2002, Frontpage 97/Express, GoDaddy, Website, Tonight, Google Sites, Hot Dog , Professional HoTMetaL, ProiWeb, Jimdo, Joomla, Last.fm, Microsoft Office, Live Microsoft, Publisher, MSN Groups, MSN Spaces, Multiply, MySpace, Net Objects, Fusion, Netscape, Composer, NVU, editor, PBase, Qufoto, Register.com, SiteSkins, Tagged, Tripod, Tumblr, Type Pade, Bulletin, Visual Page 2.0, Webs, WebStarts, Weebly, Wikispaces, Wix, Flash, Version, Wix, HTML5, Version, WordPress, Xanga, Yahoo!, Online Store, Site Builder Yola, Zine Studio.